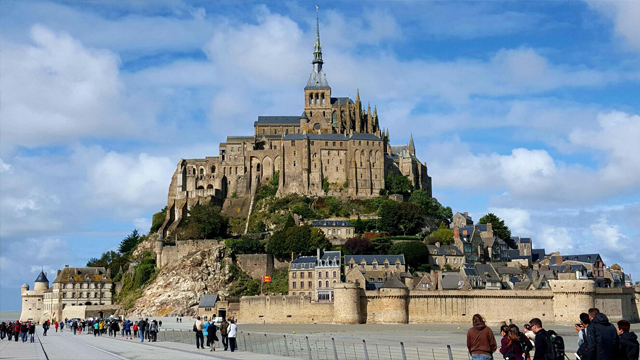 Walk through the ramparts and enjoy the magnificent views of Mont Saint Michel Bay. 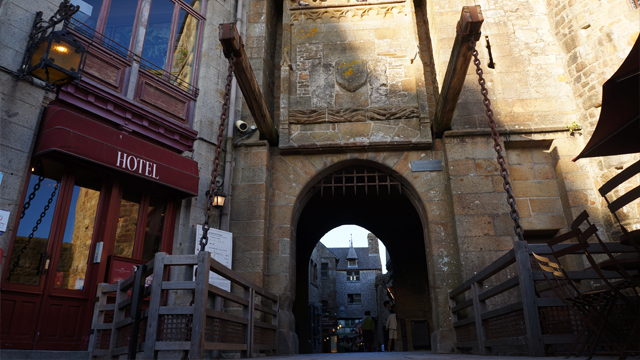 Second most visited tourist spot in France, Mont Saint-Michel welcomes up to 20,000 visitors a day in high seasons. The abbey, an impressive monument, is the fruit of several phases of construction between the 10th and 16th centuries. The bay of Mont Saint-Michel is the point of the highest tides in continental Europe (up to 15 m difference between high and low tides). 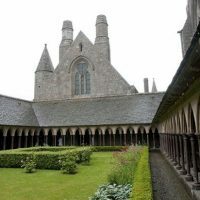 The 80m-long abbey church, the cloister and the history of the abbey, all on Mont Saint Michel makes it a unique place to visit. The story reports that the bishop of Avranches, Aubert, founded a church in 708 at Mont-Tombe, after 3 appearances of the archangel Michael. Consecrated in 709, the church has since never ceased to attract visitors and pilgrims from all over the world. 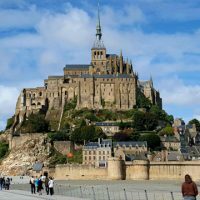 The architecture of Mont Saint Michel and its bay is the most frequented tourist place of Normandy and the second of France after Paris. The abbey has the peculiarity of having been erected on a rocky island. You will discover true jewels of architecture: Pre-Roman Church, Abbey Church of the sec. XI and XV Roman and Gothic convents. 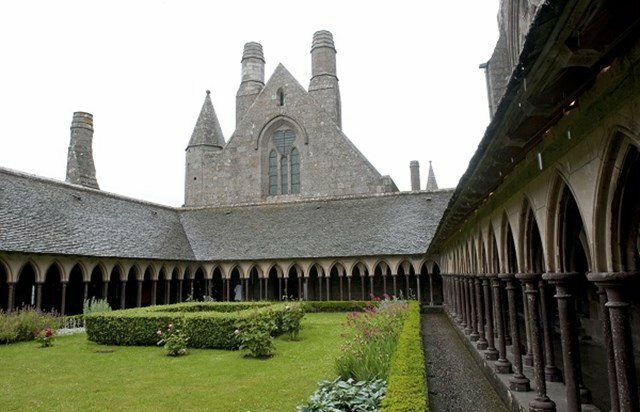 Transformed into prison during the Second Empire Revolution, the Abbey is today a monastic community with a permanent spiritual presence. Called the “Wonder of the West”, Mont Saint Michel is surrounded by a magnificent bay, one of the largest tides in Europe. Unesco World Heritage, its Outstanding Abbey is a man-made wonder, and its bay is a marvel carried out by nature. Come and discover this unique monument, built between the sky and the sea, a marvel of Normandy tourism. 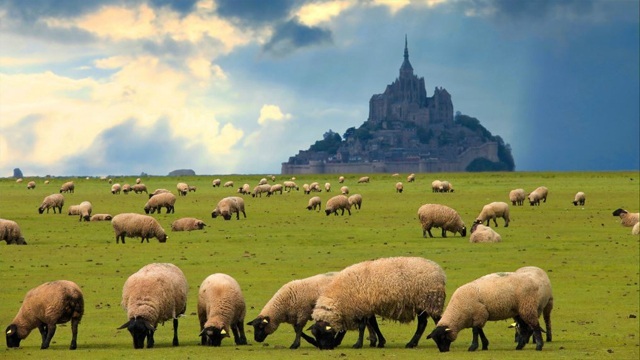 What includes the Mont Saint Michel Private tour? 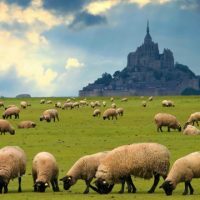 We did the Mont Saint Michel tour with My Normandy Tour. We left early from Paris and arrived at the Mont Saint Michel around 12h00. It was a place that my family had wanted to see for a long time and finally Pierre gave us the will to do it. Everything was perfect. We asked Pierre to plan the high tide schedule, which was done without hesitation! We really like and appreciate the kindness of the company with our family. 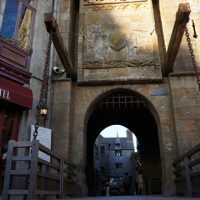 We were in the Normandy region and found the company "My Normandy Tour" which offered the tour service to Mont Saint Michel coming out of the city we were staying in, we stayed in Bayeux. The guide was very friendly and explained several curiosities beyond those related to our tour. My family and I loved the tour which was very well done and executed by the company.